Very few DJs can jump from club sets to high-profile festival performances, to Kanye West's larger-than-life stadium shows with ease. In today's DJ culture, A-Trak holds a truly unique place. He and partner Nick Catchdubs founded America's most trendsetting new label, Fool's Gold, launching the careers of artists such as Kid Sister and Kid Cudi. Fool's Gold's mission to merge all aspects of club music was already outlined in Trizzy's original mixtape manifesto, Dirty South Dance, which set the tone for his own production. He is now one of the most sought-after remixers in electronic music, and his remixes for the likes of the Yeah Yeah Yeahs and Boys Noize have become undeniable mainstays in DJ sets the world over. 2009 saw the release of two critically acclaimed DJ mixes, Infinity +1 and Fabriclive 45, as well as the birth of Duck Sauce, his collaboration with Armand Van Helden. The duo's radio smash 'aNYway" cemented itself as the dance anthem of the year, A-Trak's first true chart-topper with two videos in international rotation and across-the-board support from Pete Tong to Busy P, David Guetta to 2manydjs. Duck Sauce's 2010 follow up 'Barbra Streisand" was even bigger, a whistling pop sensation that accumulated over 60 million YouTube views of its star-studded video while hitting platinum heights around the globe. They even covered it on X-Factor and Glee! Not bad for a kid whom many viewed as a 90's turntablism prodigy. 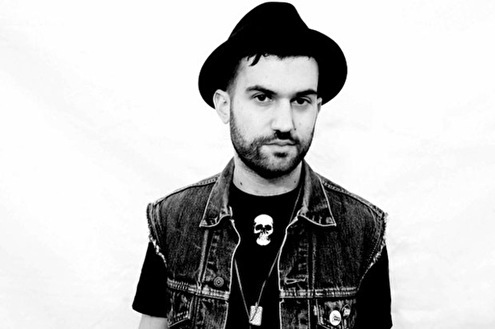 After taking home every DJ title known to man before he could shave, A-Trak toured the world, first alongside Q-Bert's Invisibl Skratch Piklz and then with Craze and the Allies. In 2004, he was hand-picked by Kanye to be his tour DJ. A near decade of youthful meanderings was captured on his acclaimed DVD Sunglasses Is A Must. Somewhere along the line, A-Trak also became a new-school sartorial icon, collaborating with Nike, New Era, Kidrobot, Zoo York and pretty much every designer worth his salt. And all the while, his brother morphed into the lead singing lothario in the acclaimed electro-pop sensation Chromeo. The last couple of years have seen Trizzy headlining tours and festival stages the world over. Add to that scratching on Common's classic Be, Kanye's Late Registration and Graduation, Kid Cudi's Man On The Moon and Drake's Thank Me Later, as well as producing Kid Sister's debut album Ultraviolet, collaborations with the likes of Lupe Fiasco and Laidback Luke, and original releases with Stones Throw and Kitsune. After years of schlepping vinyl, accumulating air miles and dressing smart, A-Trak has finally become the man to call to make the kids dance. Ask him and he'll tell you that this is the moment he's been waiting for his whole career. How Is This Real DJ-ing? !